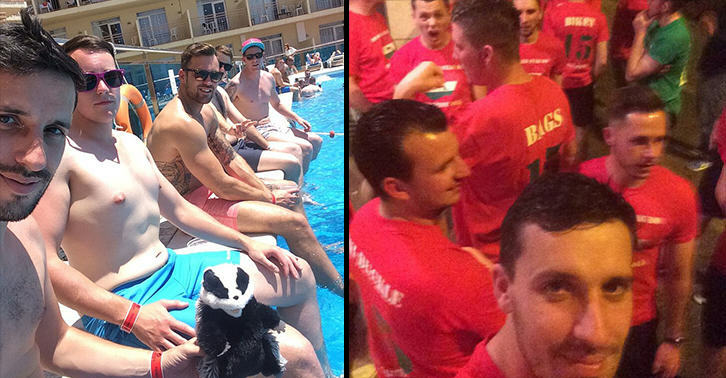 Forget wedding crashing and say hello to stag do crashing! Apparently one office manager has decided that crashing the actual ceremony is now too played out so has taken to getting involved in strangers’ bachelor parties instead. Will Stevenson, from Nottingham, has travelled all over Europe, racking up around 31,000 miles and spending more than £10,000 on booze and good times in the last three months alone, just by tagging along with complete strangers with an extra slot available on their stag dos. It all started after Will placed a bid on a stranger’s stag do in Budapest in June and, since then, he’s made new friends with soon-to-be-grooms and their mates in places including Rome, Munich, Madrid, Barcelona, Amsterdam, Magaluf and Ibiza (five times!). It first started when I bid on a place on a stranger’s stag do in June. One of the groom’s mates dropped out, so they auctioned his seat. I had a free weekend and was thinking about going to a festival but thought this would be a laugh. 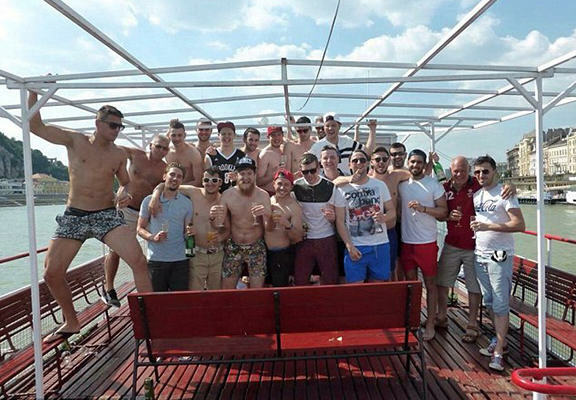 I never expected to win, but the day after the auction closed I was going to Budapest with 22 lads I’d never met before. It was a bit scary to start with but once we got to know each other it was a great laugh. After Will’s trip to Budapest was chronicled on Radio 1 by DJ Scott Mills, offers started pouring in for the 35-year old to join them on their stag dos too. Setting himself up as the new Wedding Ringer, Will has now been on the lash with complete strangers an incredible 16 times in the last few months. In one of his multiple trips to party island Ibiza, Will even got to party with DJs David Guetta, Pete Tong, and Axwell and Ingrosso. The last few months have been absolutely non-stop – I feel like I’ve spent the last 12 weeks either partying or in airports. Some of the stags overlapped, especially in Ibiza, so when one group was leaving I’d be staying behind for more madness. I used up my holiday allowance pretty quickly but fortunately my job is quite flexible. Will has been chronicling his exploits on his Twitter page @Willhasabadger, always accompanied by his trusty cuddly toy mascot Seth the badger. 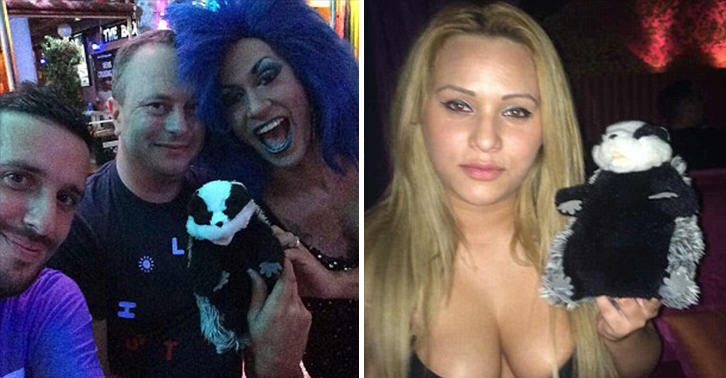 And, boy, has that badger seen some things – booze, strippers, boat cruises and God knows what else. And there’s no rest for Will as he has a further three stags booked, some of which will take him even further around the globe, including Las Vegas and Melbourne. You’ve really got to admire this lad’s commitment to the partying cause!